Technical Support: Provide world class service and expert advice to customers while resolving issues and concerns regarding Jeppesen products. Create innovative solutions to problems and learn new ways to improve business and resolutions for the team. Crew Scheduler: Assist pilots and flight attendants with schedules’ on a 24 hour basis and answer questions in regards to their schedules. Plan and cover trips from sick calls and minimize delays with crew members and maintain schedule integrity. 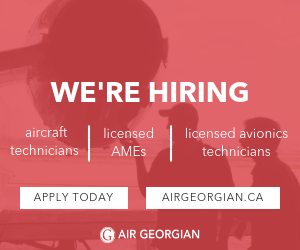 Flight Coordinator: Schedule pilots and aircraft, dispatch Air Life operations, filing and tracking flight plans, coordinating required aircraft maintenance, communicating changes to pilots and operational information, post trips in FOS, arrange customer requests, quote trips and answer phone calls. Flight Controller: Schedule pilots and aircraft, dispatch Flight For Life operations, filing and tracking flight plans, coordinating aircraft maintenance, communicating changes to pilots and operational information, post trips in FOS, arrange customer requests, quote trips and answer phone calls. Missionary: Directed younger missionaries, taught gospel/scriptures, taught English to Italians, French, Germans, Africans, translated for conferences and museums, organized and executed service projects to better the lives of Italian citizens.